For many people, the last thing they want to do is to cook. However, this can be quite fun to do with an elderly loved one. This is a good excuse to go and try out new recipes, make old favorites, or to discover new favorites. Not only is this is a delicious way to spend time with your loved one, but it is also a good excuse to invite the family or some friends over. Board games can be a great way to spend the time with a senior loved one. There are many different kinds of board games, so you are bound to find something that everyone will enjoy. Also, not only is this a great way to have some fun, but it can also offer exceptional mental stimulation. 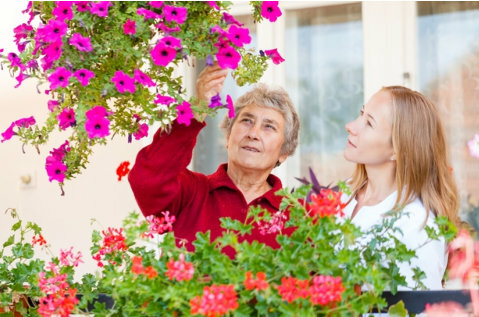 Creating a garden can be a great activity to do with a loved one. Not only are you creating something truly beautiful, but you are also creating memories. Every time you or your elderly loved one will look at the garden, you will be reminded of the great times together. Going out somewhere relaxing to have a snack and to relax can be a very fun activity. You could go to a beach, a field, or to your favorite park. Those are just a few of the many different activities to keep in mind when you want to spend some quality time with your elderly loved ones. Also, as a non-medical home care in Dover, Delaware we are able to provide a number of in-home senior care services. If you would like to find out more about our home care in Delaware, please get in touch with Americare Home Solutions anytime. This entry was posted in Senior Loved One and tagged Cooking, fun activities, gardening, home care. Bookmark the permalink.